1) The premium villa comes with the advantage of an attractive false ceiling, internal threading, and modular kitchen cabinets. 2) A separate borewell for every villa. 3) MGVCL 3 phase connection for uninterrupted power supply. 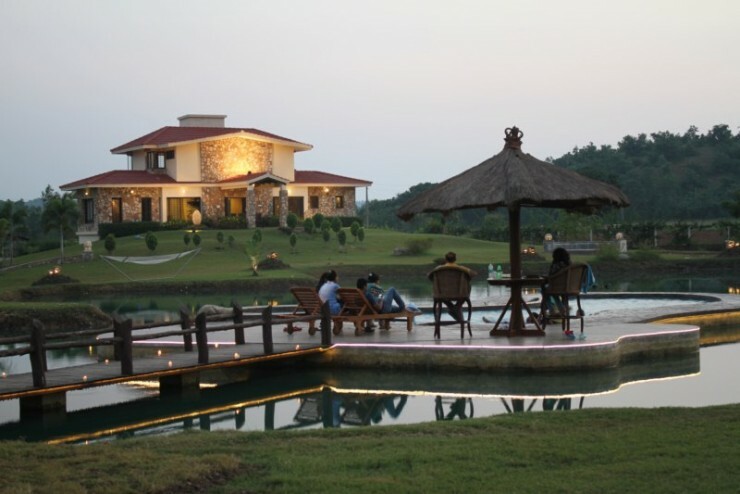 4) A swimminng pool constructed in the middle of the lake to give a nautral feel. 5) A separate servant room with separate entry in the villa. 6) 5 to 6 caretakers will be present on the project when you are away. 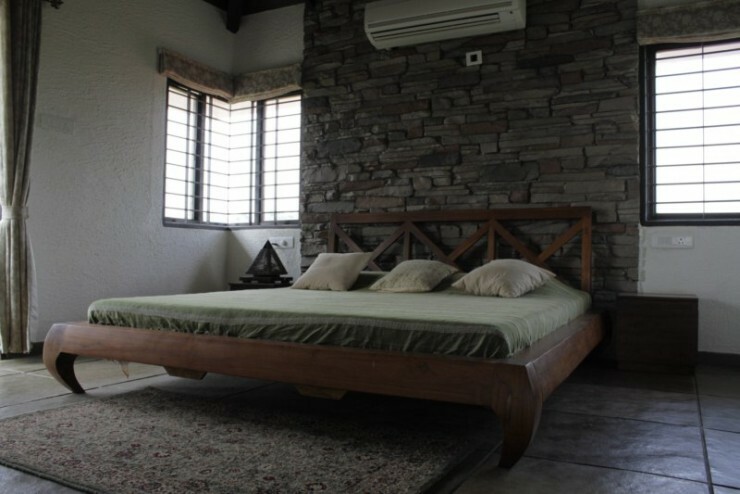 This is a concept putting you right into the lap of nature and is a redefinition of luxury and relaxation. 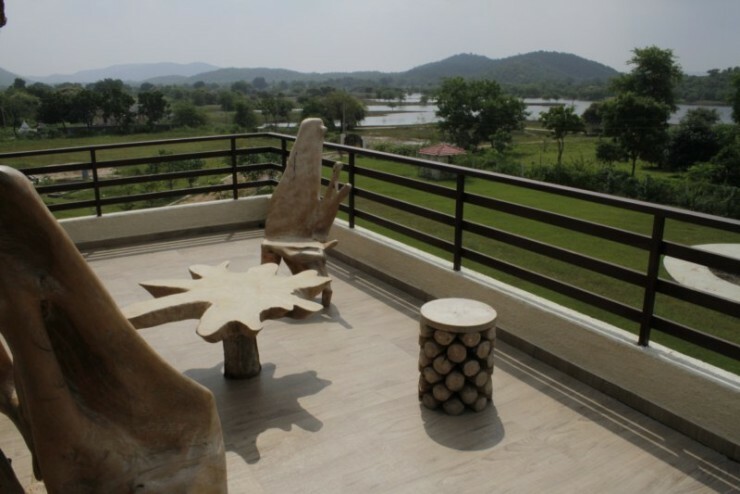 Although it is situated far from the dusty roads, pollution and the cacophonous sounds of the city, it still provides you all the comforts you have at your home (and much more), but in a natural setting. The project is spread across acres of verdant and extremely picturesque land and has been developed to meet two essential requirements: exclusivity and elegance. 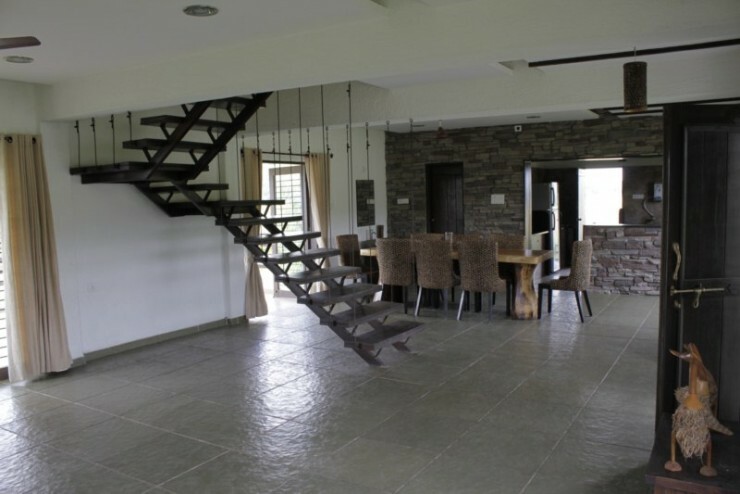 The minimum maintenance, environment friendly approach used to design project means that the property remains well maintained even in your absence so all that you need to do is to come with your friends, families and relatives and enjoy the farmhouse experience, without worrying about its upkeep! 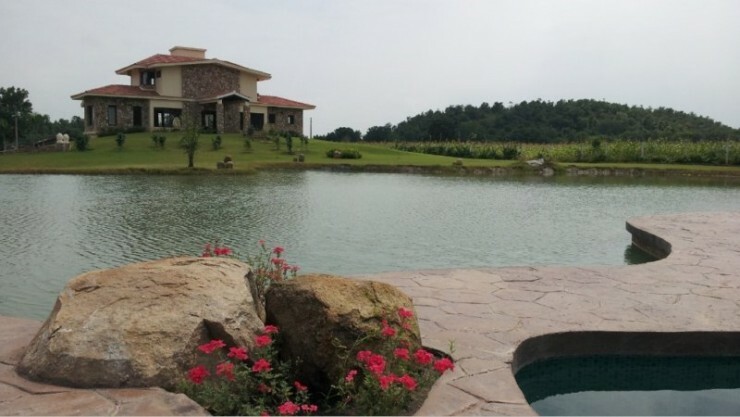 There are various natural water bodies, a forest area and hills that surround this property. This gives you the opportunity to enjoy different activities that bring you closer to nature. 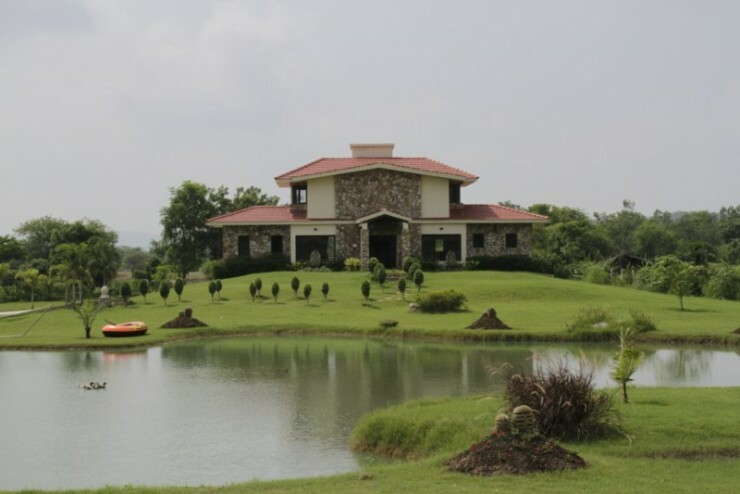 You can go for a natures walk, bird watching, trekking or hiking in the woods and hills; camp out in the true sense of the word; enjoy boating, fishing and other activities in the water bodies or at the artificial lake; cycling; organize bonfires or even barbeques for your friends and families. And for those of you who like to relax, you can simply take a walk around; enjoy a cup of tea or coffee breathing in the fresh air, or just lounge around in your balcony enjoying the sunrise or the sunset. 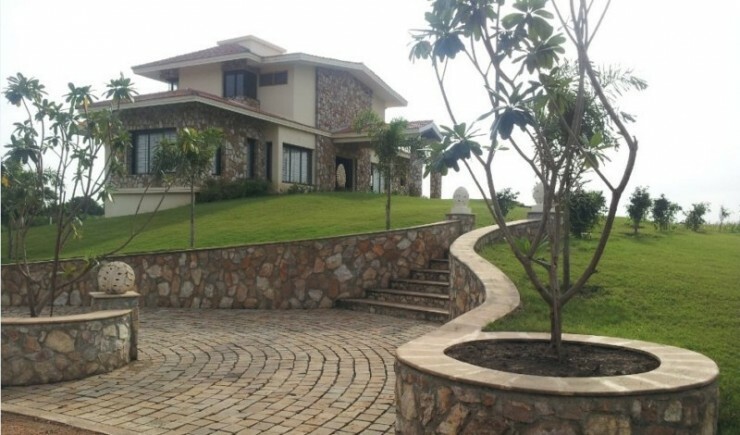 The entire landscape is secluded and secure with non-intrusive security. This basically means that you can experience the serene beauty of the site and carry out various activities at your own pace, without worrying about security. This is the experience of a life time and a truly not to be missed opportunity.